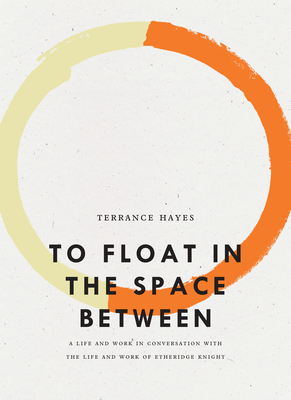 In these works based on his Bagley Wright lectures on the poet Etheridge Knight, Terrance Hayes offers not quite a biography but a compilation "as speculative, motley, and adrift as Knight himself." Personal yet investigative, poetic yet scholarly, this multi-genre collection of writings and drawings enacts one poet's search for another and in doing so constellates a powerful vision of black literature and art in America. The future Etheridge Knight biographer will simultaneously write an autobiography. Fathers who go missing and fathers who are distant will become the bones of the stories. There will be a fable about a giant who grew too tall to be kissed by his father. My father must have kissed me when I was boy. I can't really say. . . . By the time I was eleven or even ten years old I was as tall as him. I was six inches taller than him by the time I was fifteen. My biography about Knight would be about intimacy, heartache. Terrance Hayes is the author of How to Be Drawn, which received a 2016 NAACP Image Award for Poetry; Lighthead, which won the 2010 National Book Award for poetry; and three other award-winning poetry collections. He is the poetry editor at the New York Times Magazine and also teaches at the University y of Pittsburgh. American Sonnets for My Past and Future Assassin will also be forthcoming in 2018. Terrance Hayes is the author of How to Be Drawn, which received a 2016 NAACP Image Award for Poetry, Lighthead, which won the 2010 National Book Award for poetry, and three other award-winning poetry collections. His honors include a National Endowment for the Arts Fellowship, a Guggenheim Fellowship, and a 2014 MacArthur Fellowship. He is the poetry editor at the New York Times Magazine and also teaches at the University of Pittsburgh. American Sonnets for My Past And Future Assassin will also be forthcoming in 2018.